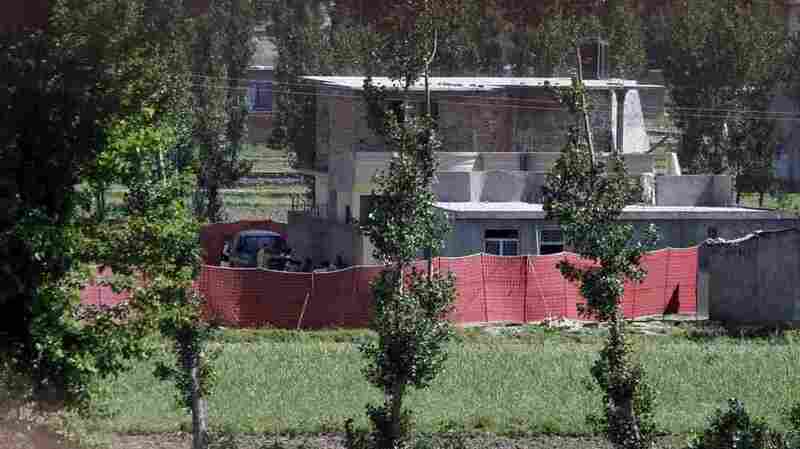 Timeline: The Raid On Osama Bin Laden's Hideout The entire operation on the compound in Abbottabad, Pakistan, lasted just 40 minutes. Here, look at how the events unfolded. 8:20 a.m. EDT — President Obama makes the decision to undertake the operation at the compound north of Islamabad with national security advisers Thomas Donilon, John Brennan and Denis McDonough and chief of staff Bill Daley. Obama then leaves to tour storm-ravaged Tuscaloosa, Ala.
3 p.m. — Donilon convenes principal national security advisers to complete the planning. 2 p.m — Obama meets with principals in the White House Situation Room to review final preparations. 3:30 p.m. (approx.) — Two helicopter descend on a compound in Abbottabad, Pakistan, north of Islamabad. During the raid by a small team of Navy SEALs, Osama bin Laden is killed along with three adult males. One woman is killed as well. The entire operation lasts nearly 40 minutes. One helicopter malfunctions and is destroyed, but the operation ends without U.S. casualties. Bin Laden's body is removed from the compound. 3:32 p.m. — Obama returns to the Situation Room for additional briefing. 3:50 p.m. — Obama first learns that bin Laden was tentatively identified. Shortly after the raid, Pakistani leaders are briefed of the actions. 7:01 p.m. — The president learns that there's a "high probability" the target was bin Laden. 8:30 p.m. — Obama receives further briefings. 11:35 p.m. — The president speaks to the nation from the East Room. "Today, at my direction, the United States launched a targeted operation against that compound in Abbottabad, Pakistan," Obama says. "A small team of Americans carried out the operation with extraordinary courage and capability. No Americans were harmed. They took care to avoid civilian casualties. After a firefight, they killed Osama bin Laden and took custody of his body." 1:10 a.m. — Burial ceremony for bin Laden begins on the aircraft carrier USS Carl Vinson in the north Arabian Sea. The body is washed according to traditional religious practice, wrapped in a white sheet and placed in a weighted bag. After the religious ceremony, which lasts 50 minutes, the body is eased into the sea. Shortly before 11 a.m. — DNA evidence confirms that the dead body is that of bin Laden.